Good advice to gardeners in February. It’s still frigid outside, more snow is on the way, and opportunistic ice sheaths surfaces, beguiling us to into the false sense that the landscape is clear and inviting. But a change is on the way. The quality of light is different; it’s brighter and lasts a little longer later each day. The birds are more active, hopping about the tree branches, singing more often and more loudly. And that most sure harbinger of all that spring is on the way – the plant catalogues have begun to arrive via post. They, indeed, are masterful at encouraging us to dwell in possibility. I’m looking forward to seeing your garden in a few months. I will look forward to showing it to you. Perfect photo for this endless winter. Wyman House gardens at Princeton University were originally designed by Beatrix Farrand (where she was a longtime consultant) and recently redone by Lynden B. Miller, both amazing women! Thanks for your comment. When I was down at Princeton last fall, I made a special trip to the Wyman Gardens because they were designed by Mrs Farrand. 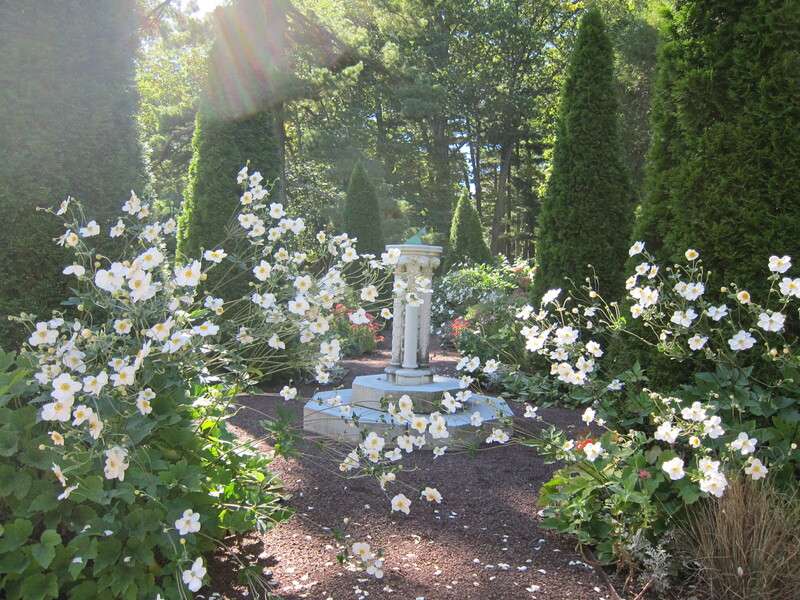 Having heard about the garden at the BF Symposium in Maine last June, I wanted to see them. The did not disappoint. So true. I bet there are early season crocuses hiding under that snow. I hope there are crocuses, although since I haven’t planted any, I may hope in vain.